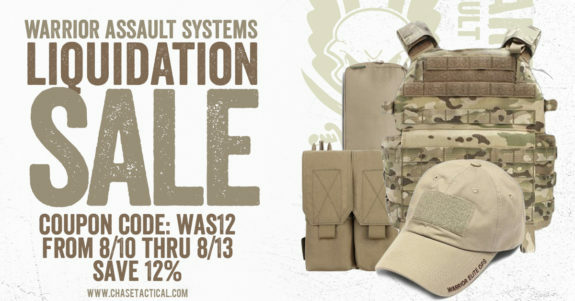 Chase Tactical – Warrior Assault Systems LIQUIDATION Sale! Sales are great. Sales where you get a discount on already discounted goods are eve better. That is exactly what is happening at Chase Tactical this weekend. They are blowing out their Warrior Assault Systems gear to make room for their new USA made line of gear. Use code WAS12 from now through 8/13 to save 12% off already discounted prices.